With the Iowa caucuses approaching, Google search volumes for the Democratic and Republican candidates has fluctuated. iQuanti, a leading digital marketing agency specializing in data-driven insights, analyzed the search volumes for each of the presidential candidates ahead of the Iowa caucuses. Breitbart, an American news and opinion website, reported on the statistics provided by iQuanti. Trump is the leading candidate in terms of Google searches in Iowa, with an average of 32,172 monthly searches from June to December 2015. This search volume jumped to 40,5000 in December. Ben Carson and Carly Fiorina had the second and third highest average Google search volumes from June to December, coming in at 9,843 and 6,472 searches respectively. The search volumes for these two candidates have decreased in December to only 6,600 for Carson and 3,600 for Fiorina. Conversely, Ted Cruz and Marco Rubio have seen a significant jump in their search popularity in December, compared to their average search volumes over the seven-month period. Cruz was searched 14,800 times in December, and Rubio was searched 12,100 times. The remaining Republican candidates had more consistent Google search volumes. Bernie Sanders has dominated the Democratic field in terms of Google search volumes. He was searched 24,800 times over the seven-month average, and 27,100 times in December in Iowa. Clinton had fewer than half the number of Google searches, with 10,429 over the seven-month average, and 12,100 in December. On a national level, Trump leads the Republican party and Sanders dominates the Democratic party. 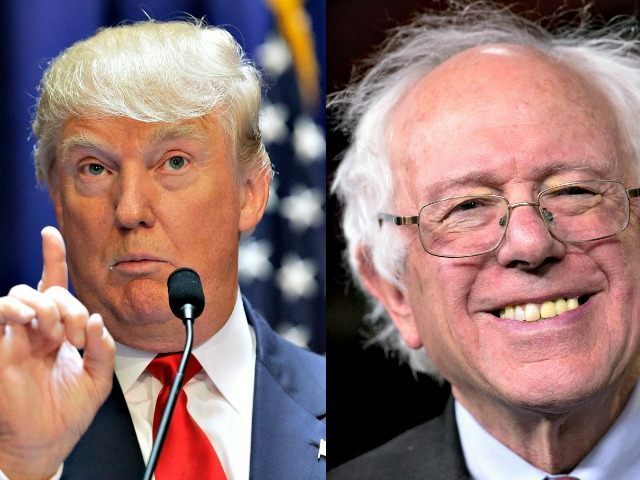 Trump received 6.1 million searches nationally in December, and Sanders received 2.7 million searches.